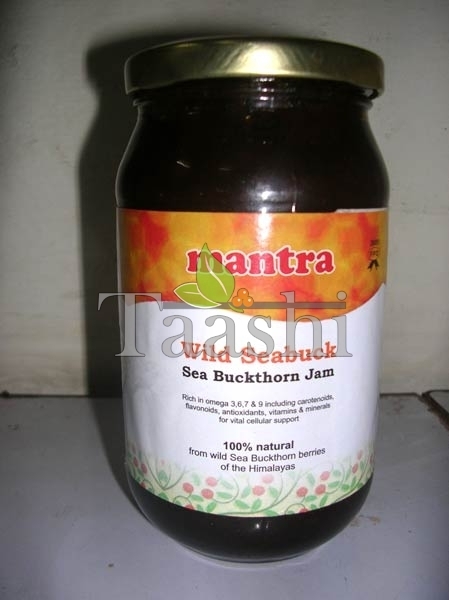 We are offering highly nutritious and delicious Seabuckthorn Jam as it is packed with amazing bioactive substances and nutrients, and fatty acids including Omega 3, Omega 6, Omega 9, and Omega 7. Our Seabuckthorn Jam is also exceptionally rich in Vitamin E with vitamins A, D, C, D and K, etc. Its active ingredients include carotene, flavonoids, antioxidants,phytosterols, serotonin, amino acids and trace elements including iron, zinc, calcium, manganese, selenium, iodine, etc., that are so important to overall good health.